When I was a child in the 50s, my parents moved from Georgia to California. Once they arrived they embraced the Polynesian Pop Culture that was all the rage. 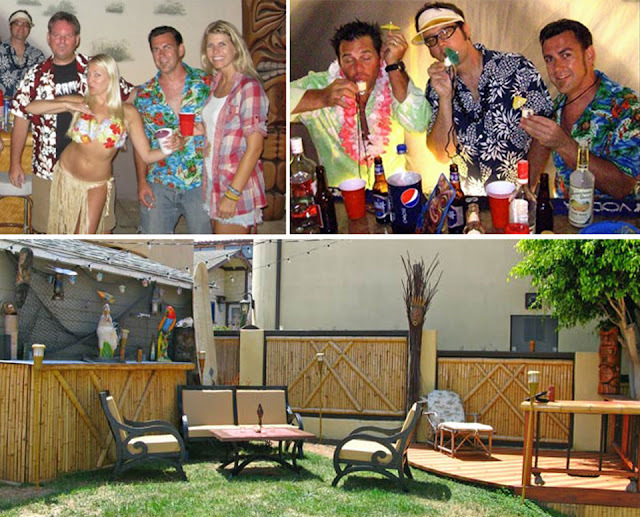 During that time many restaurants and supper clubs were adopting the popular Polynesian tiki decor and my parents loved it; they even transformed our garage in a Tiki Lounge. The walls were covered with fishings nets full of seashells and starfish that we found at the beach, abalone shells served as ashtrays, the bar was made of bamboo and the furniture was also rattan. 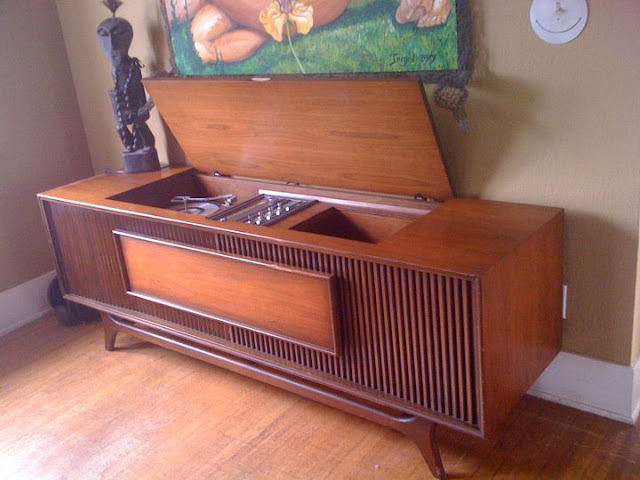 Our stereo played the likes of Lani McIntire and Arthur Lyman in the 50s and Don Ho in the 60s. Yes, our home was the place to be for Saturday night gatherings and every summer my parents hosted a luau. 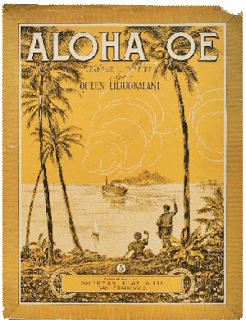 Luaus were for everyone — adults and kids alike. There was lots of food and lots of fun. Mom made muumuus for us girls and the guys wore Hawaiian print shirts. We wore leis around our necks and cocktails had little umbrellas. I have great memories of those days and I've carried this love of tiki culture with me. Then one day something strange happened. My son got into tiki culture! Now I didn't know there was a tiki gene in the DNA pool, but I'm here to tell you it's true. My son loves the beach as much as I do and then a number of years ago he started carving tikis and hosting luaus in his Polynesian-style backyard. He calls me up one day and says, "Do you remember this?" Through the phone I hear Jim Croce singing Bad, Bad Leroy Brown. Boy, does that bring back memories. Seems my son has his dad's record collection and there are a few of my old 45s in the mix. 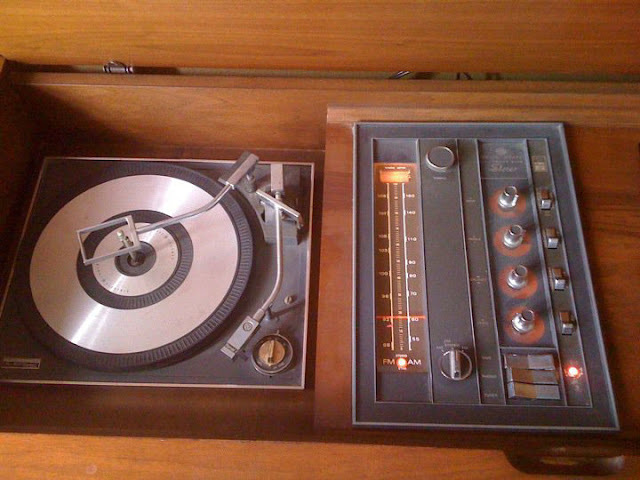 He thought it was very cool that he could now play those retro records his parents listened to and he loves the sound the needle makes on the record. If you're old enough to know what I'm talking about — you're old enough to appreciate this post, lol. I actually found this photo through Google; my copy is faded and has a water stain on it. My parents purchased it in 1954 for a whopping 69 cents and I've kept it all these years, along with their Don Ho and Arthur Lyman albums. Seeing them always brings back those memories of family luaus. Notice I said "seeing them" rather than "hearing them" and that's because I haven't owned a record player in about thirty-five years. I packaged up this "family heirloom" and sent it to Jim for Christmas, so fifty-six years after mom and dad first listened to the sounds of Lani McIntire, my son was able to do the same. How cool is that? This album was released in 1954, three years after McIntire passed away, so even when my parents listened to the tunes, they already had some years on them. 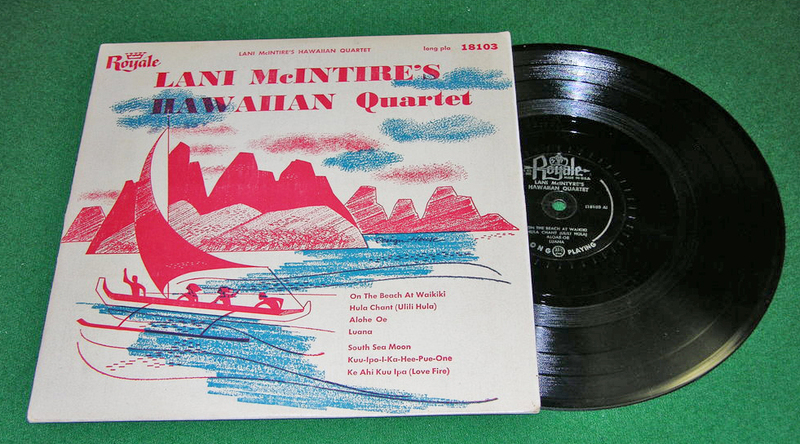 McIntire was a Hawaiian guitar and steel guitar player. From Wikipedia: "McIntire achieved fame playing with Sol Hoopii in his "Novelty Trio" before heading his own acts, "Lani McIntire and his Aloha Islanders" and later, "Lani McIntire and his Hawaiians." His work with Jimmie Rodgers pioneered the Hawaiian guitar sound that laid the foundation for the steel guitar as a standard country instrument, influencing the likes of Hank Williams and Elvis Presley. McIntire and his band also did a lot of work with Bing Crosby, notably on the original version of Blue Hawaii as well as Sweet Leilani, which was popularized in the 1937 movie Waikiki Wedding. McIntire appeared in the films Dreams of Old Hawaii (1944), You're the One Rose (1943), Maui Chant (1943), and Paradise Isles (1943)." I love the cover art and would like to own this four-record collection. Like I said, I haven't heard this album for many, many years and was pleased as punch to pass it on to my son. I knew he would appreciate the family history behind it and get a kick out of listening to it. He is becoming more and more immersed in the tiki culture world and even has plans to do his first tiki show in 2011 with his carvings. Then I get the next call from my beloved son. He loves the album and has recorded each tune for me! What?!!!? I was so excited and thanks to the wonderful world of the internet, I didn't have to wait long to download them to my iTunes. I can't tell you how moving it was for me to hear these songs after so many years. 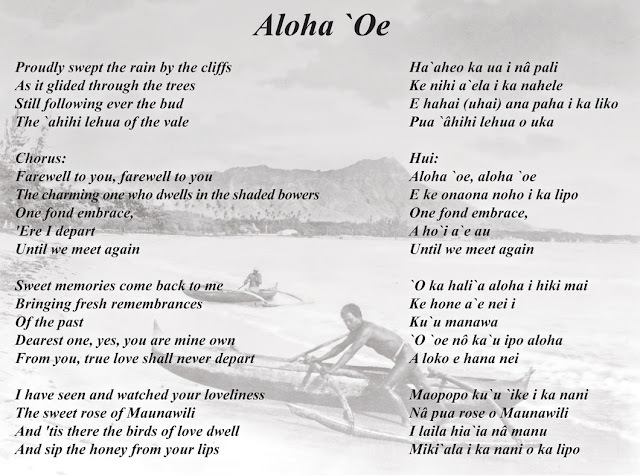 My favorite song from the album and the one I really wanted to share was Aloha 'Oe, but there wasn't one with Lani's band playing. 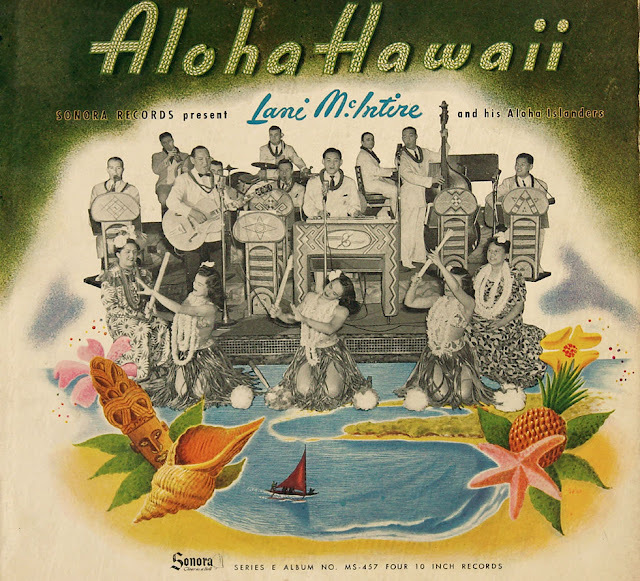 There was the clip from Lilo and Stitch (2002) and one with Elvis Presley singing it in Blue Hawaii (1961), but that just goes to show you what a Hawaiian standard this tune is. I'm sure you've all heard it at some point in your life, but do you know who wrote it? This song of farewell between two lovers was written by Queen Lili`uokalani, the last monarch of the Hawaiian Islands, in 1878. She composed this song and 150 others. Anyway, now my son has the original album my parents purchased so long ago and can play it on his cool retro stereo and I have the songs downloaded to my iTunes and can play them through my computer — gotta love modern technology! 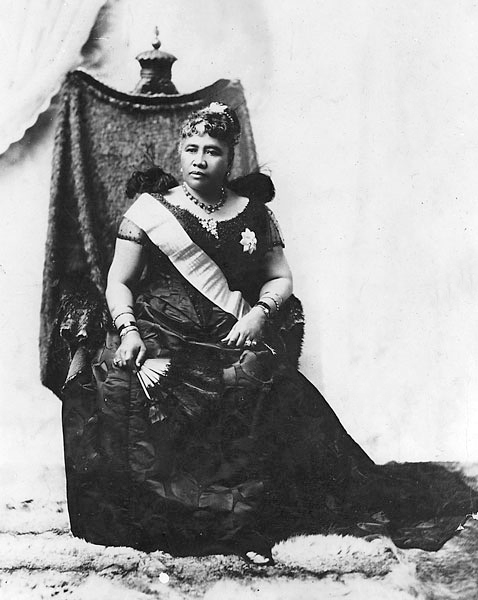 Do you think Queen Lili'uokalani could ever have imagined any of this when she wrote the song 132 years ago? Hello everyone! I hope you all enjoyed your Christmas with family and friends, I'm looking forward to reading about your celebrations and seeing lots of wonderful photos. If you live in one of those areas hit by the blizzard, I hope you're safe and warm. I talked with family in Atlanta and they had their first White Christmas since 1882 and even the little town of Saint Marys, Georgia where I moved from had a bit of the white stuff floating around. 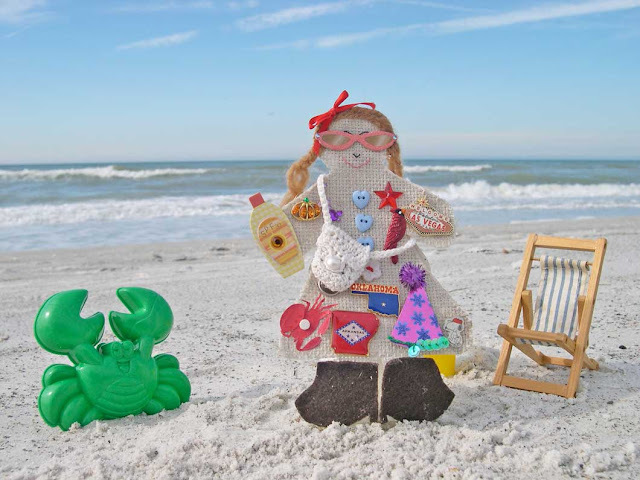 Brrr…but I'm happy to report that our weather here in Tampa Bay was gorgeous on Christmas Day! My granddaughter went to Orlando with her father, so that left myself, my daughter and my sister to decide what we would do together. This was the perfect year to make it simple and easy and we did just that. I didn't decorate, I didn't bake for days on end, I didn't have to prepare the "feast" and we cut gift-giving to the bare minimum. This was just fine with all of us. Since my sister had decorated her little apartment that is where we planned to spend the day. Sis put a 13-pound turkey in the oven (so cute, I didn't even know they came that small) and we arrived a couple of hours before it was ready. I brought mac & cheese and since we weren't having cornbread dressing, I baked a cornbread in its place. Sis added mashed potatoes, veggies and a pumpkin pie. Yes, we were in carb heaven and I'll be paying for that over the next few weeks. Oh, did I mention I came down with a nasty cold? Yep, just before Christmas I caught the cold that is going around. I had been in bed for a few days and with the help of Nyquil, I made it through the day just fine. We talked, watched the Disney Parade and went down to the lake to watch the birds before supper. Yes, it was a lazy, simple holiday. Then the best gift arrived! For those who don't know, my sister's son has been serving our country in Iraq. 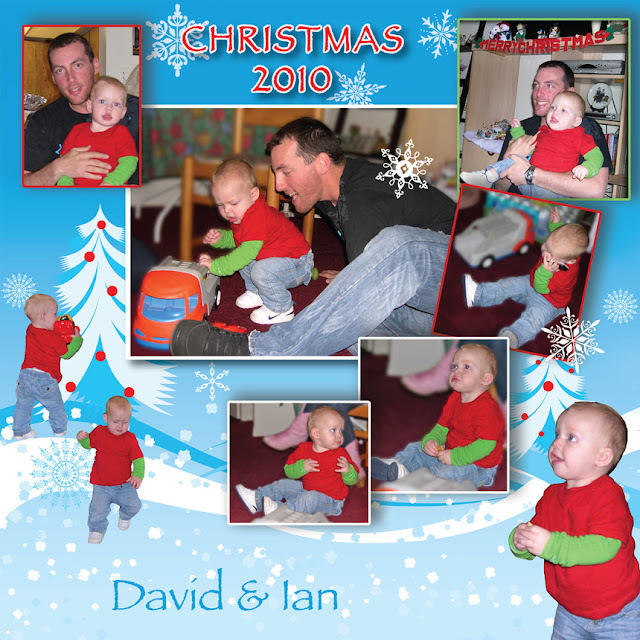 He left just before Christmas last year, just a few weeks after his son was born. David came home just before Thanksgiving, but he's stationed in Georgia and I hadn't seen him yet. My sis had spent Christmas Eve with them and I didn't know they would be stopping by on Christmas Day. The best gift this year for me was having my nephew home safe and sound. What else matters? No amount of money could have bought something I enjoyed more than seeing my nephew with his wife, his son and his mother. Our Christmas may have been very simple compared to past years, but it will be remembered as being so special in our hearts. We each posed by the little ceramic tree that belonged to my mother. Mom loved that tree so much, she bought it in the 70s and we put it out every year in her honor. I missed having my son present, it breaks my heart that he lives so far away in California. We talked on the phone of Christmas Eve and again on Christmas Day. It seems the older I get, the miles that separate us seem longer and I miss him so much. 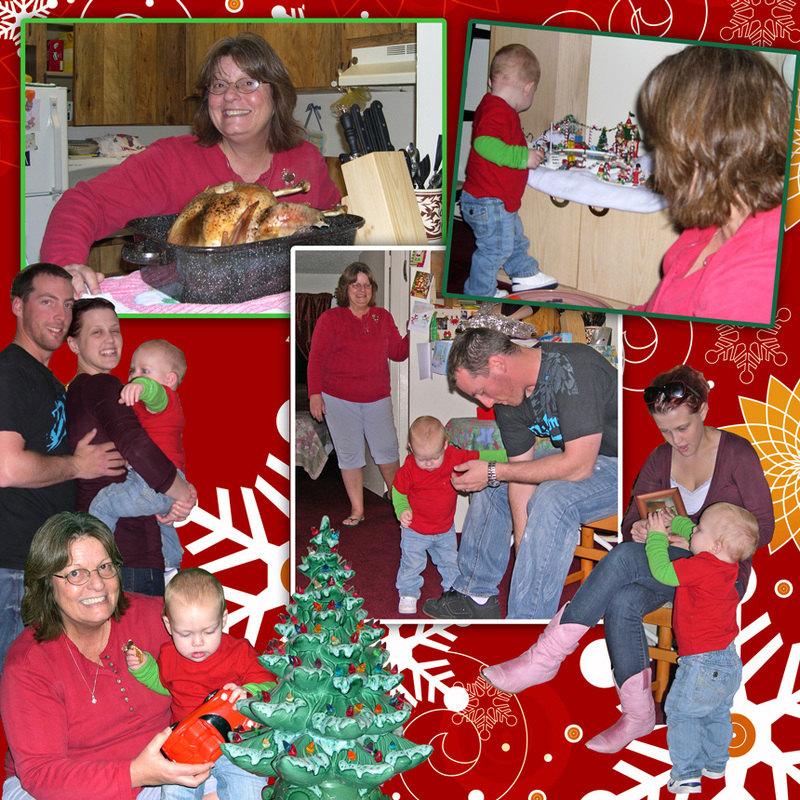 Our Christmas was simple, but the love of family filled the air and isn't that the best gift of all? What were you doing at around 2:40 this morning EST? Unless you live in another country, chances are you were tucked in bed, fast asleep. That's exactly where I had been just minutes earlier. Now I rarely set a clock to wake up, maybe a couple of times a year, so when the alarm went off on my cell phone (my daughter had to set it for me), I was a bit startled, well, annoyed is probably a better word for how I felt. Then… I quickly remembered why I was up at such an ungodly hour — the eclipse! Only took me seconds to jump up, throw on a coat, grab my camera and head out the door; my eyes turned towards the sky. I'm no expert on all that astronomy stuff, but like the waves on the ocean, astrological events fascinate me. I've been out to the desert to watch meteor showers, I know how to safely watch a solar eclipse, I used to love going to the observatory when I lived in California, I enjoy…well, you get the picture. 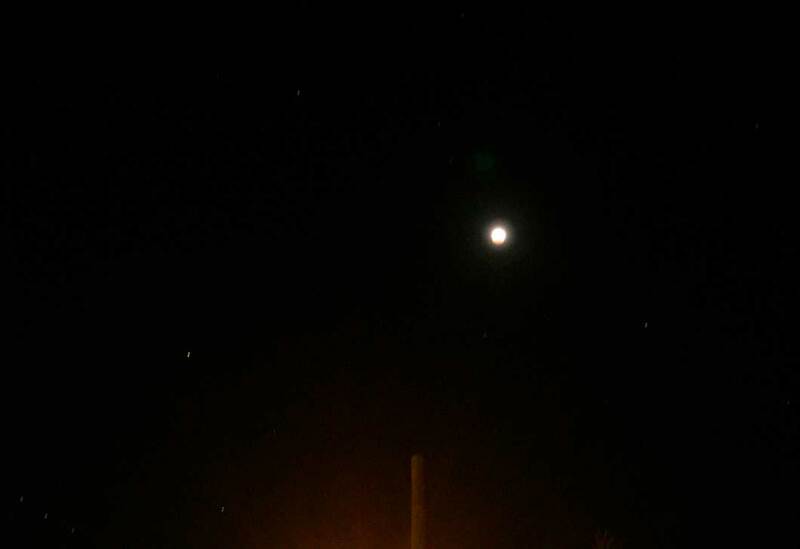 I know, I know…the song is about a sad love affair, not the moon, but for me, standing outside in my jammies with no one else around, eyes skyward, the line "But now there's only love in the dark" took on a whole new meaning. I watched as Earth's shadow slowly crept over that beautiful full moon and it was breathtaking. The partial eclipse had already begun at 1:33, I was just up and outside for the beginning of the total eclipse, through to where the partial eclipse was ending at about 5:00am. Events like this always leave me in awe of our universe and makes me realize what a microscopic speck I am. 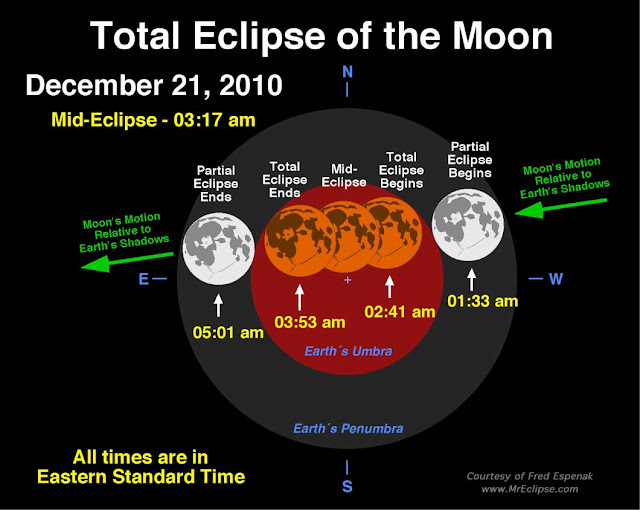 Now a lunar eclipse is not really a rare event, but what made this one special is that here in Florida and other places on EST, it happened on December 21st — the Winter Solstice, otherwise known as the shortest day of the year. By short, I mean it has the least amount of daylight hours of the year. I like to observe this day, because it is the opposite of my favorite day — Summer Solstice, which of course, has the most daylight hours of the year and this old beach gal, loves long summer days at the shore. Isn't the coppery color gorgeous? Actually, in the last photo, about a third of the moon was still in shadow, but the bright light of the full moon came shining through on my camera lens. You can still see just a bit of the shadow on the bottom. 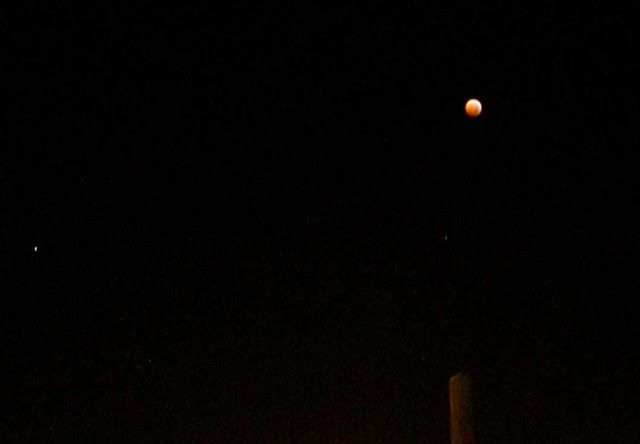 Aren't quite sure about the differences between a solar and a lunar eclipse? Solar Eclipse: The moon passes directly between the Earth and the Sun, blocking our view. 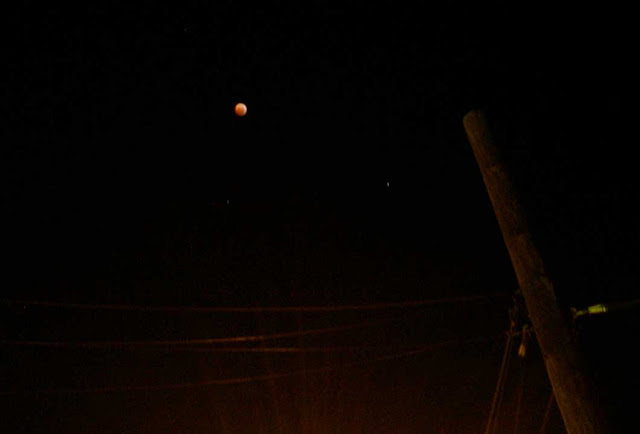 Lunar Eclipse: Earth passes between the Sun and the Moon, which blocks sunlight from reaching the moon. Now what song do you think was running through my mind as I watched this shadowy occurrence? Why Moonshadow by Cat Stevens, of course! My understanding is that Cat Stevens wrote this song about finding hope in any situation where you might find yourself. For many of us, this has been a tough year, I'm one of those, so I'm taking this lunar eclipse as a gift from the universe — to remind myself that I still need see the joy in the world around me — the love I receive from my family and friends, the laughter of a child, the warmth of the sun, the spirit of Christmas, and the friendship you have all shared with me this year. I thank you all, those who leave comments, those who send emails, those who call, and yes, those who just quietly read. This has been a wonderful place for me to come and share with you —the good and a bit of the bad — and it allows me to have a part of my day not be filled with worry about the future. You've made me laugh, you've made me cry — sometimes tears of joy, sometimes tears of sadness for you, you made me smile, you've enlightened me, you shared recipes and crafty goodies, you've shared photos of your world and your families and most of all you've shared yourselves. Thank you and may 2011 bring you all much joy as you're leaping and hopping on a moon shadow. 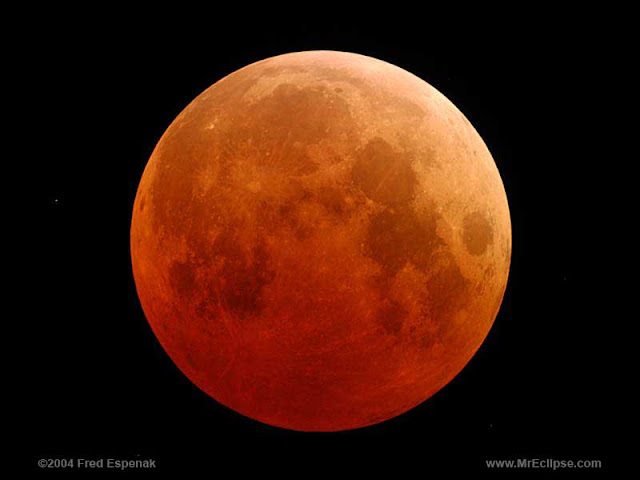 Note: I haven't been able to get on Fred Espenak's (Mr. Eclipse) all morning to see if he posted a photo from last night, so I'm sharing the one above from 2004, so that you can get a better "feel" of a total lunar eclipse. Hopefully, I can update it later. UPDATE: I published this post and just had to run over to visit my friend Julie @ Being Ruby. She lives in Australia and always posts photos of the full moon. Now, I don't mean the crappy little photos like mine. Julie is a photographic artist and you don't want to miss her's of the eclipse — STUNNING, BRILLIANT, and so much more! The other thing that is very cool, is that while I wrote about our total eclipse during the Winter Solstice, it's SUMMER in Australia, so the eclipse in Julie's part of our world happened during Summer Solstice. How cool is that? Gosh, I love blogging! Yet another UPDATE: Did you miss the whole thing? Well thanks to a resident of New York, you can see it here in just 1 minute and 29 seconds! You've probably been hearing on the news that Florida is experiencing yet another cold winter. Now this is cold by our standards, not by the standards of those who live where the snow is falling and icicles are forming on your chinny chin chin. If I wanted a Snowy White Christmas, I would move up North. I want a White Sandy Christmas, meaning, I'm not ready to pack away my short and tank tops. 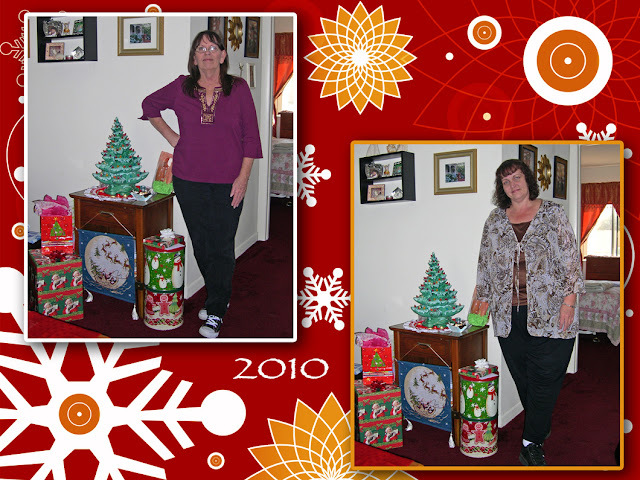 The photo on your right was me in December 2008…yep, Santa hat, Santa stockings and SHORTS. and it was in the dead of night. That's what I'm talking about! And then some of you will remember last December when Stella was visiting me all the way from England from The Cross-Stitch House. Well, it was in the 80s while Stella was here, I know, I blogged about the great weather we were having. So, not only is it cold AGAIN, it's cold EARLIER! What does this mean? Well, for starters when I went grocery shopping last weekend I bought all the fixins to make my Mango Chicken Chili, a 15-Bean Soup Cajun Style and Brazilian Chicken Curry. Yep, good old warm-my-bones, comfort food! 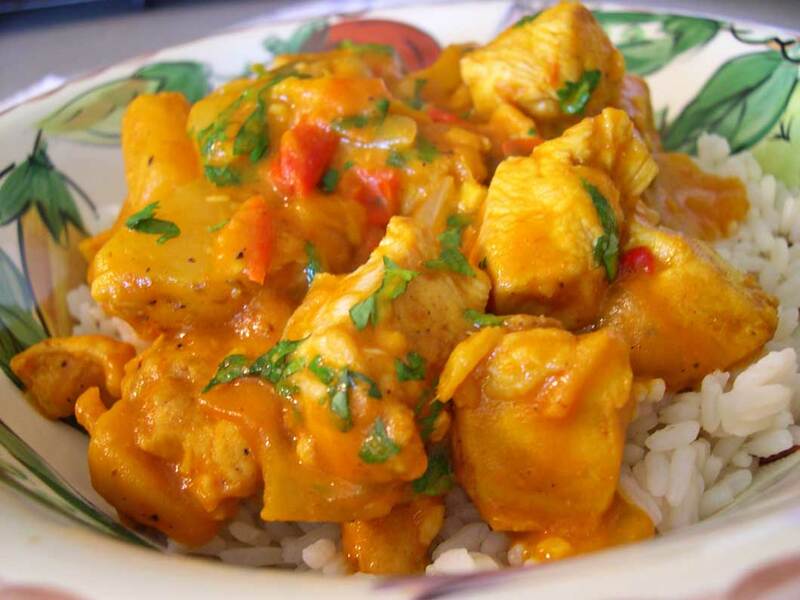 Oh, did that Brazilian Curry capture your attention? Well, it did mine. I LOVE Curry! A couple of weeks ago I picked up the recipe at my local Publix grocery store and before I left the house I meant to take it with me. Needless to say, I didn't. I quickly headed over to see if the recipe was still there. Yep, it was and not only that, they were cooking that very dish! Does your store do that? I'm not talking about those little makeshift stands that hand out food samples from various vendors. Publix has a little area set up where you can pick up recipes and several times a day they cook one of their recipes and hand out samples of the prepared dish. Cool, huh? AND, if you love it and just have to have it, they have all the ingredients in a special display so you can just pick it right up, right then. This was perfect timing on my part don't you think? Not only did I get my needed ingredients fast, I also got to taste the recipe before I made it. I like this, because there's usually something I want to change, are you that way? I loved the dish, but knew right then that I wanted mine a lot more saucy. Here's the recipe as Publix had it, with my changes in red. I like my curry saucy, so I tripled the last three ingredients for the sauce, which meant I also needed to triple the curry powder and the ginger so their flavor wouldn't get lost in the additional sauce. I then seasoned to taste with the salt and pepper when the curry was ready. Preheat large nonstick sauté pan on medium-high 2–3 minutes. 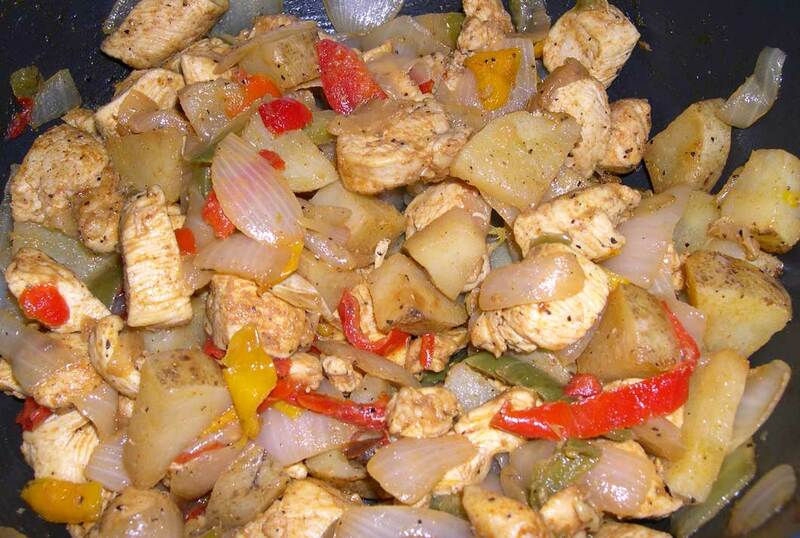 Coat vegetables with cooking spray, place peppers, onions, and potatoes in pan; cook 3–4 minutes or until browned. Add chicken to vegetables; cook and stir 3–4 minutes or until chicken has browned on all sides. Prepare rice following package instructions. And here's the finished dish…Yummy!!!! It's been a long time since I linked up with Michael at Designs By Gollum for Foodie Friday, I haven't been doing anything special when it comes to cooking, but this recipe was quick, easy and delicious! It is definitely going into my family cookbook recipe binder. 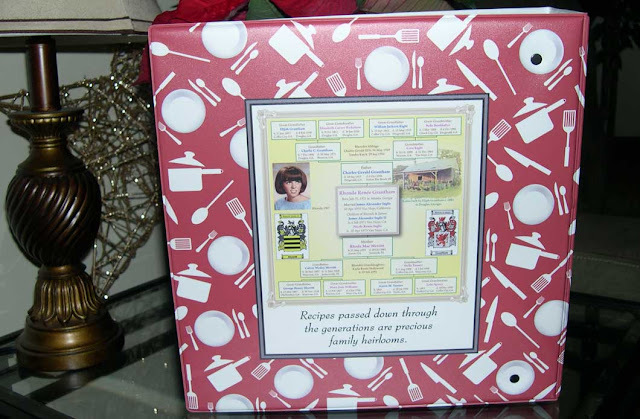 Speaking of which, I want to thank all of you who purchased one or more my customizable Family Recipe Binders this year and especially those who bought them on Black Friday! They were my biggest seller for the holidays! Cool! Guess what? 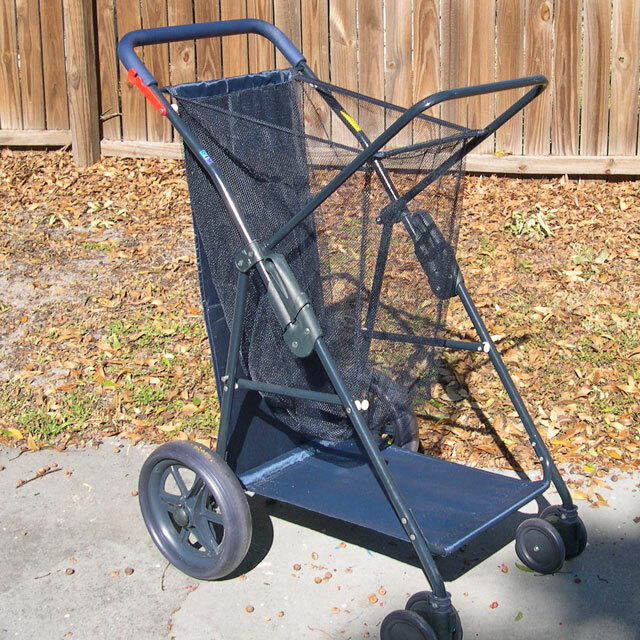 I purchased three myself — for my kids and my granddaughter. They came last week and I love them! The printing was perfect and the size is nice and roomy for lots of my recipes and for future generations. One the back cover, I decreased the size of the quote and added a graphic I created of my family tree last year for framing. 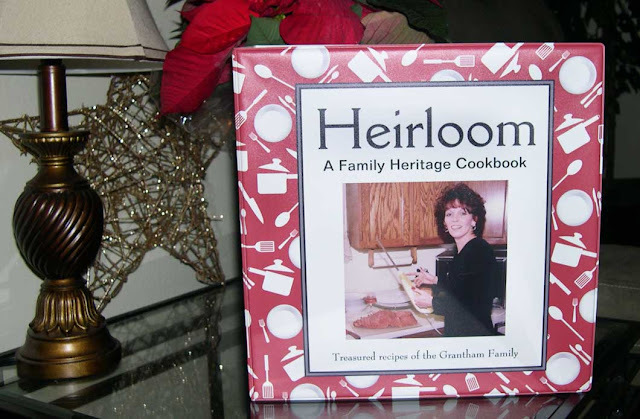 I thought it was the perfect touch for a Family Heirloom Cookbook. Shhh…don't show this to my kids, it's a surprise! That's it for now, be sure to stop by Foodie Friday to find more fabulous recipes. Wherever you are, whatever you're doing — Enjoy every minute! I can't believe that it's December 15th and I'm finally putting up my first Christmas post! Where has the time gone? I've been surfing around on my special holiday board and drooling over all of your homes. WOW, you are all amazing, you've put me in the holiday spirit for sure! We always do a traditional tree also, but this is how I celebrate my love of the sea and all things tropical. I have other blogging friends here in Florida who do the same thing and I'd love to show you their creativity. She actually cut that HUGE Junonia on top out of plywood and, being the incredibly talented artist that she is, painted all the details herself. How cool is that? 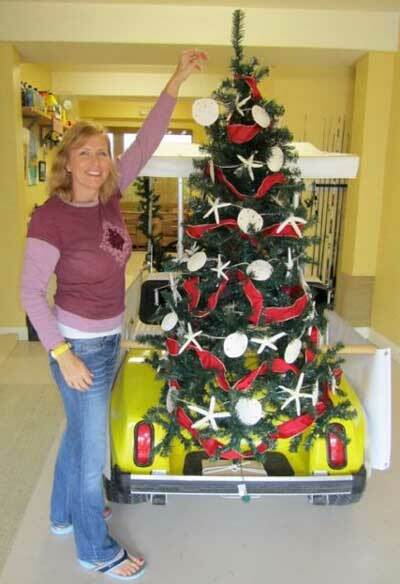 And what Christmas Golf Cart would be complete without a starfish and sand dollar tree on the back? 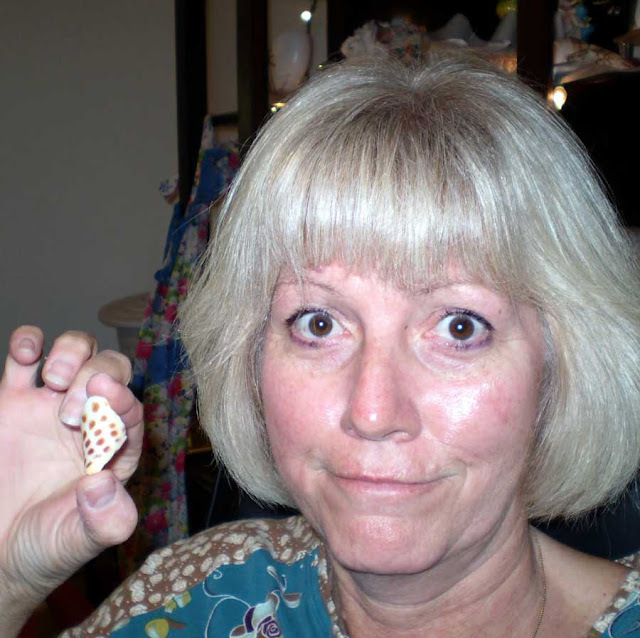 Pam's blog is all about shelling in Sanibel and if you haven't visited her lately, be sure to stop in. 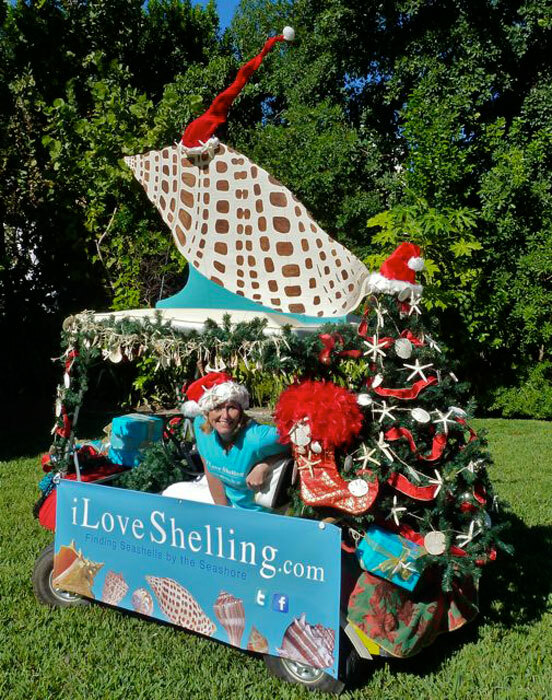 Sanibel is known for being the best shelling spot in the U.S., but right now they're having a SHELL BONANZA. 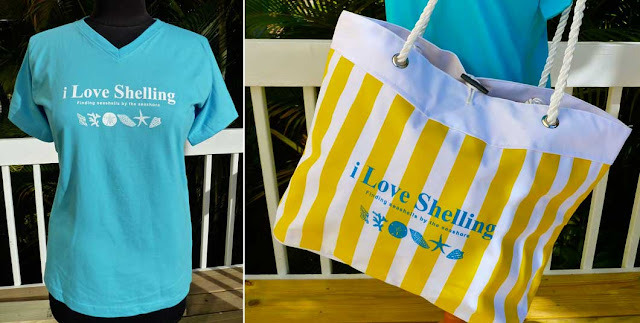 AND if you love shelling as much as we both do, check out her blog shop. 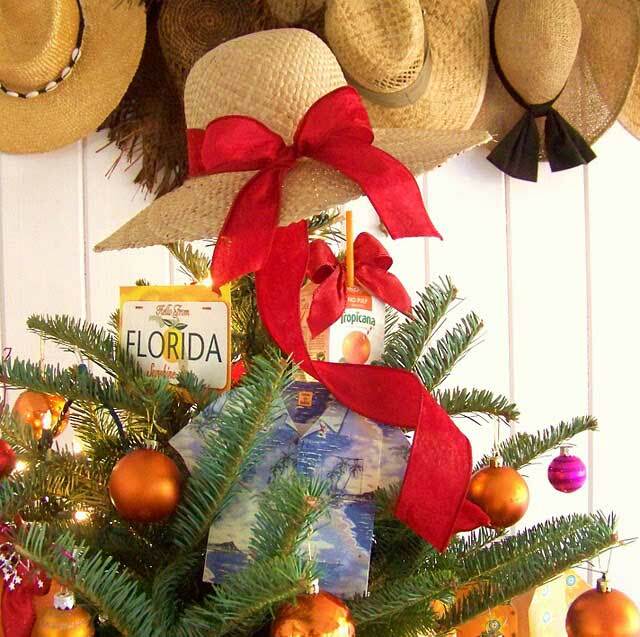 Next up we're going to see the C-U-T-E-S-T Florida Christmas Tree I have ever seen! 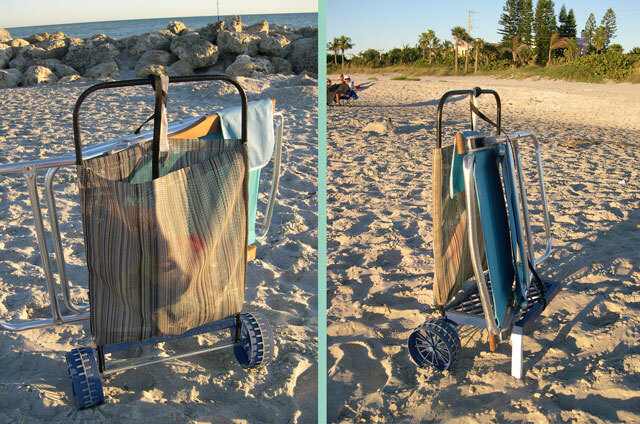 My friend Becky of Abbeystyle and Beachsnaps made this creation and when I saw it I was bowled over. 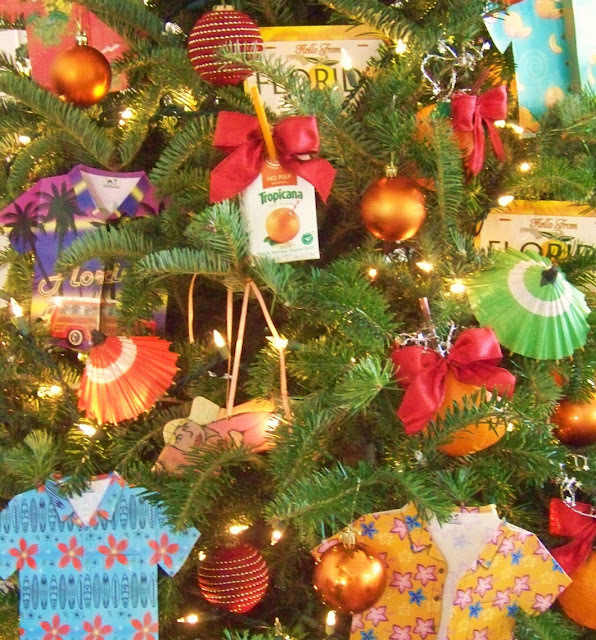 right up to the tree topper — a sun hat! Now, if you've been around here a lot, you know that in almost every single photo of me, I'm wearing a sun hat and that I have a passion for rattan furniture. 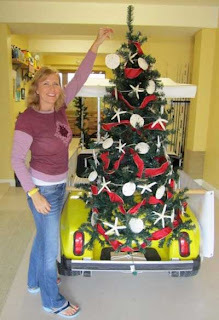 Becky, you have captured the spirit of Christmas in Florida with your tropical, beachy style! and you won't get coal in your stocking this year! Squeeze some fun out of it — no snow required. I was over visiting my friend Linda of Coastal Charm. 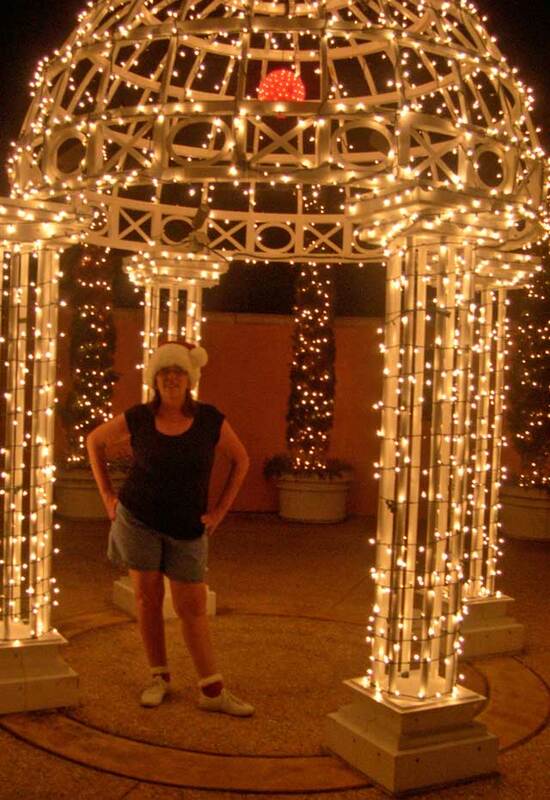 She's having a Christmas Open House Party and I decided to join the fun and let others see how we celebrate and decorate here in Florida. You won't believe all the fabulous goodies she has around her lovely home, including a Christmas Flamingo Flag! Stop by and say hello, you'll be so glad you did! In his book Rare Shells (1969), S. Peter Dance, wrote about what were considered at the time to be 50 of the world's rarest seashells— complete with pictures. Included in this collection is the still elusive Junonia. Every sheller who is worth his or her weight in golden sand, has dreamt about finding this particular shell. 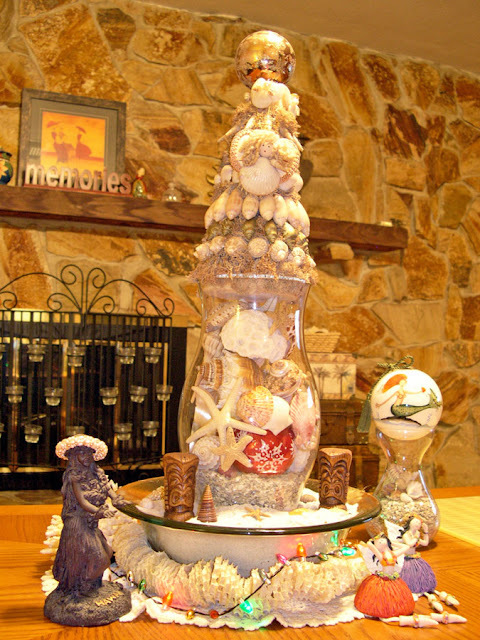 Most of us are still dreaming and/or have added it to their collection via a seashell shop. This is true in my case, but I do hope to actually find a Junonia and replace the one in my seashell cabinet. collection of Harry G. Lee, who spent 23 years collecting one of each specimen. In an article on Conchologists of America a few years back, S. Peter Dance, wrote, "But owning a Junonia was not the same as finding one." 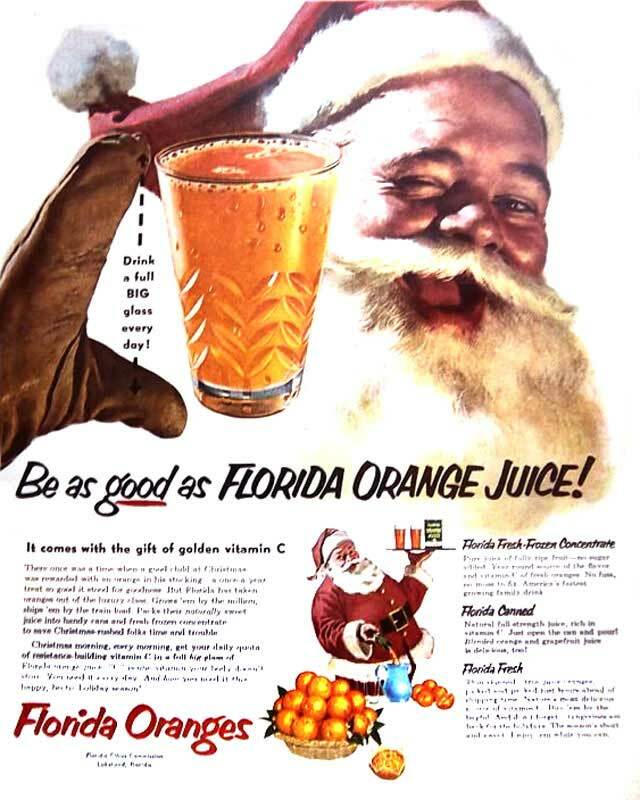 So in 1971, he set out for Florida. He writes, "Most of all I wanted to find one at Sanibel Island. This was my first visit to that island where the streets are named after shells, where conchology is a religion, where no one walking on a beach looks anywhere but down, where everyone wants to find a Junonia. I was confident that enthusiasm combined with optimism and a little luck would be enough for me to find one." The article goes on to describe his efforts, but in the end all he ended up with was a specimen that had seen better days. "…a large part of the body whorl was missing and the lip was badly chipped…These imperfections mattered not. I had found my Junonia!" Just walk beside me and be my friend forever. (added by Karen) Don't pick that Junonia up or I will smack you with my shell shovel. Well, needless to say, three days of intense shelling yielded no Junonia. Oh, the horror! Now I've told you all this as a lead-in to today's post. 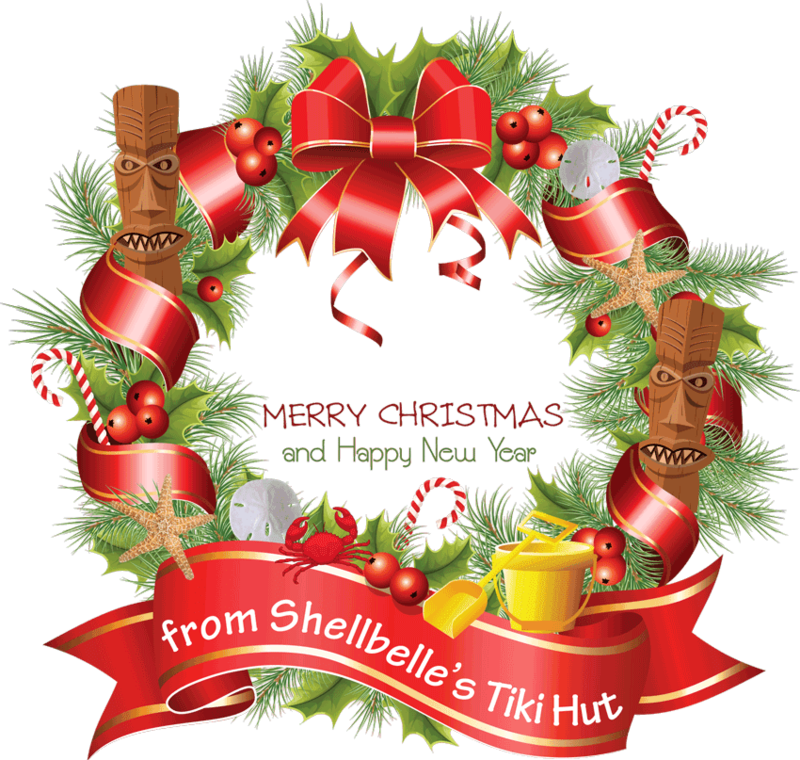 Yes, today is the day I reveal who is receiving the very first Stinky Fish Award from Shellbelle's Tiki Hut! 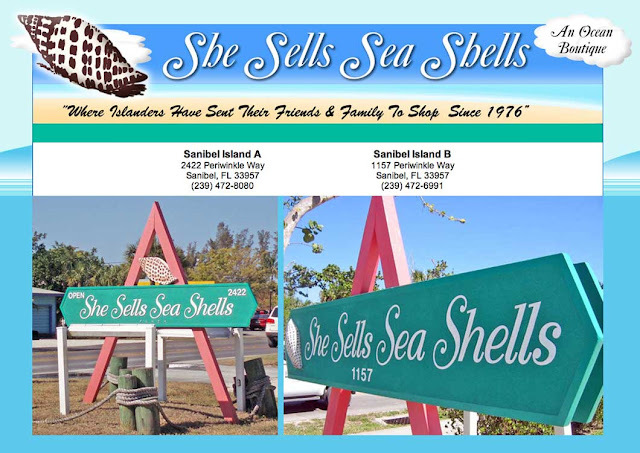 I do believe when you hear the reasons why, you'll understand why this Sanibel shop well deserves this distinction. On the day before we left, Karen and I took a break from the beach and visited a few shops on the island. Unfortunately, we made one mistake and that was in darkening the doorway of Showcase Shells located at 1614 Periwinkle Way on Sanibel Island. Now I know you're all surprised to hear that it was a shell shop that ended up being the one place that disappointed these two beachy gals. You know from reading my blog, that I LOVE shells and I know from reading your comments here, that you also appreciate their beauty. 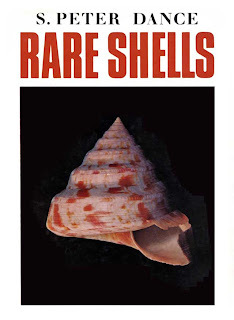 Granted, Showcase Shells, has a collection of gorgeous specimens, so that wasn't the problem. The problem started soon after we entered the store. Within a few minutes, I spotted a basket of Junonias and picked one up to examine it's intricacies. I turned to Karen and said something like, "I found a Junonia!" Well, Karen laughed and said, "Here, let me take your picture." Within a split second, a man, I don't know if he was one of the owners or an employee, was at our side. He was middle-aged and very tall with a football player's type physique — very intimidating. The look on his face let us know right away that he was not happy that we had taken a photo inside his store. Now folks, this was not a store full of artwork, this was a store full of shells. I kind of explained what we were doing and that we were both bloggers. I ask if they had a website, thinking I could share it with all of you. His answer came with an Arctic chill, "No." Okay, I thought to myself and quietly moved on. We stayed for a few minutes, each of us headed in a different direction. I found a particular shell I was looking for, one that is not native to the Gulf Coast, but one I wanted to include in a small collection for a very special blogger friend of mine. The same man rang up my meager purchase, without cracking a smile and without a thank you. What? After we returned to the safety of our vehicle, Karen told me that the man had followed her around the store, keeping an eye on every move she made. Now, I'm assuming this was because she was the one wielding camera. What was this guy so afraid of that we were going to do? 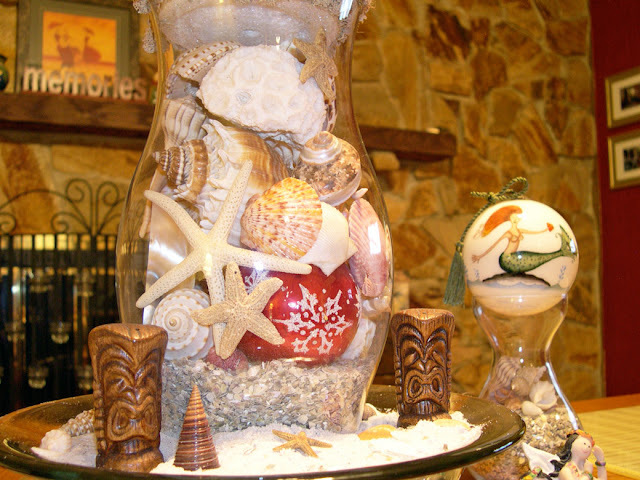 Reveal to Blogland how beautiful the store's shells are? Oh no, not that! Please don't tell people to come here! Anyway, it was creepy and it was downright rude! In all my life I have never met another sheller who did not love to share this passion with others. I do it on my blog all the time. So, my estimation of this guy is that to him, shells are strictly a business. If he had an ounce of shell passion in his soul, he would have completely understood why we were taking a photo of me holding a Junonia. This was Sanibel after all, the destination of shellers from around the world, in search of the elusive Junonia. How dare I tell them where they might find one, should their beachcombing prove futile. Like I said, I don't know if this guy was one of the owners, but I tend to think he was. He gave off that air of snootiness as only a proprietor of a store called Showcase Shells would. 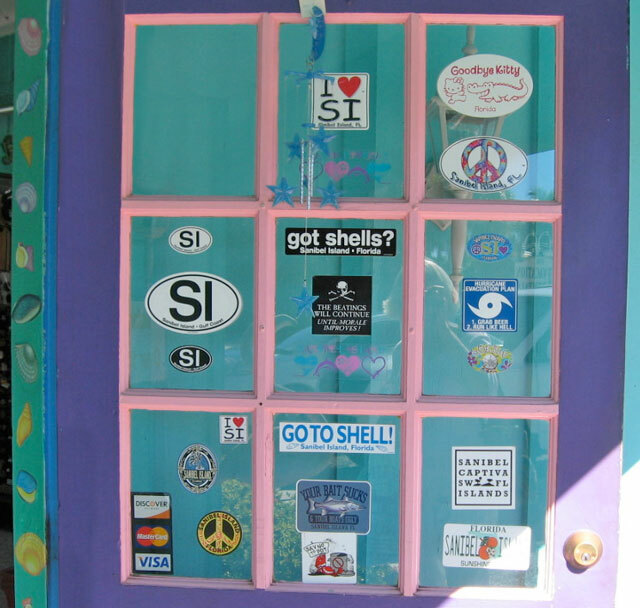 Not only do they feature a Junonia on their store signs, from what I've read, the owners are true shellers! Speaking of Junonias, I wanted to tell you that the article written by S. Peter Dance on his hunt for this elusive shell ended thusly, "At the day's end I strolled into a shell shop where I had already struck up an acquaintance with the proprietor and reverently placed my shell on the counter. "There you are," I said. 'I've done it! I've got one.' The proprietor, who was dealing with a grey-haired little lady, looked at me and smiled. 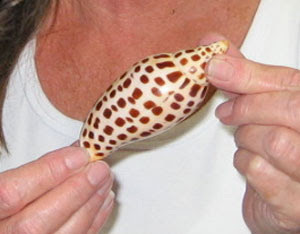 Then, saying nothing, she opened a small cupboard behind her and extracted three magnificent examples of the Junonia. Her customer surveyed the three beauties, then looked at my poor, broken shell. Her eyes twinkled brightly as she turned and touched me on the shoulder. In a quiet voice suggesting New York or Chicago, she said, 'I think I know what you mean. Congratulations.' 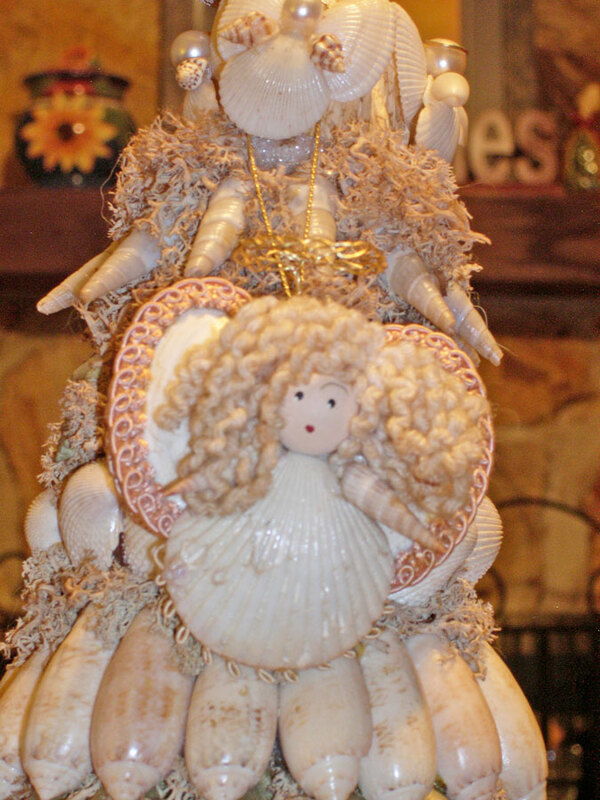 I walked out of the shell shop, the happiest pilgrim on Sanibel Island." Want to know who was also a happy pilgrim almost forty years after that day Mr. Dance found his Junonia? Karen! 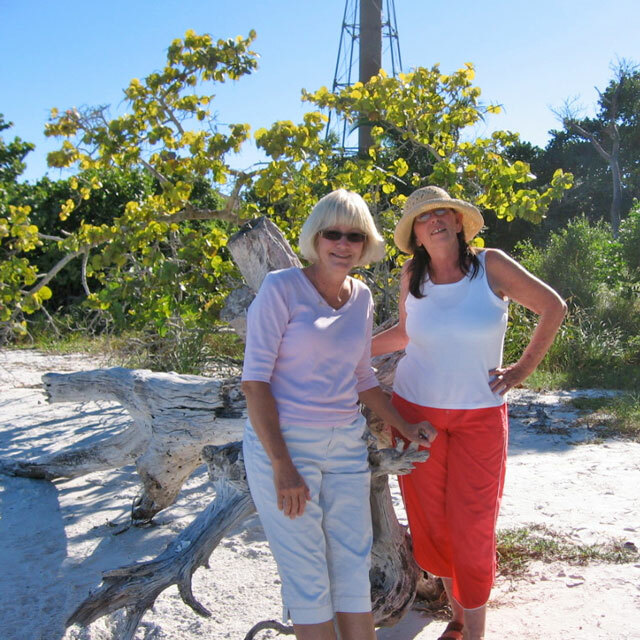 Yes, in a post last week on The Essential Beachcomber, my friend Karen, wrote, "I went to Sanibel on Monday. I had just worked 7 days straight. I got home at 10pm Sunday night and set my alarm for 3:30 am. I drove 2 hours south in the 41 degree freezing cold to Blind Pass on Captiva to the shell pile. I hit the beach before sunrise with a flashlight to see what I could find. Now, to all the shell rookies of the world — this is how it's done. I found a junonia…piece." "Some of us get them all at once. Others of us get ours one piece at a time." Congratulations Karen, you so shell! The Hut LOVES The Hut! So far I've shared with all of you a glimpse into the recent trip to Sanibel Island, Florida, that Kaybe of The Essential Beachcomber and I took in early November. If you've been around you saw some of the shells we collected and the Island Cow Restaurant where we had a wonderful meal. When we could tear ourselves away from the beach, we did a little shopping and I want to tell you about three places that we both loved. 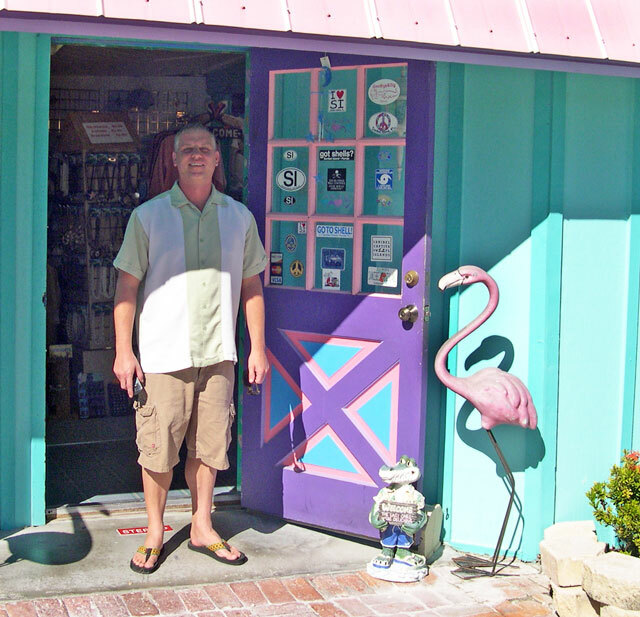 First up is my absolute favorite retailer on Sanibel, Chris of the T-Shirt Hut. Chris was a doll, just look at that smiling face! 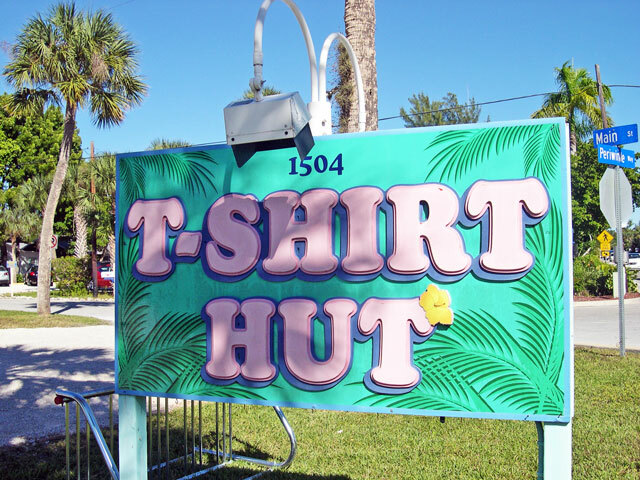 Yes, Shellbelle's Tiki Hut loves The T-Shirt Hut on Sanibel Island! Chris threw in a store bumper sticker and a cup cozy, how nice is that? I asked him if I could take the above picture to put on my blog and he sweetly obliged. He's also the one who told us about The Island Cow, when we inquired where a good place to eat was located. Thanks, Chris, we loved it! So, when your find yourself in Sanibel, and I know you will, stop by the T-Shirt Hut located at 1504 Periwinkle Way and say hello to Chris. Be sure to tell him Shellbelle sent you by. I giving Chris and his shop 5 Tikis for making me smile, for being a GREAT store and for being so darn nice! 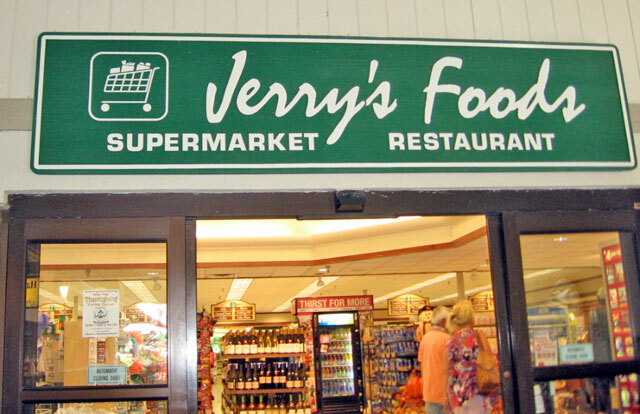 Next up is Jerry's Foods. Now you're probably wondering why the heck I would be talking about a grocery store, but trust me, when your vacationing, you need to know where to go for the essentials. My experience with these places that cater to tourists is that they are overpriced and a little snooty. Not so at Jerry's! We stopped in to look for a SIM card for Kaybe's camera. This is a store full of friendly, helpful people. Wasn't long before a woman carrying a purse approached Kaybe and ask if she could assist her. Now, since she had her purse, she was probably getting ready to go home or to go on a break. Anywhere else the employee probably would have looked at the floor and scurried by, but this woman didn't just point Kaybe in the right direction, she walked her over to exactly where they were located. How's that for service? While all this transpired, I looked around and I was impressed! The store was spotless and had everything you could possibly want. The best part? Their prices were comparable to my local supermarket. When I checked out their website, I discovered that if you're planning a trip to Sanibel, you can pre-order your groceries. Not only will they deliver them to your destination prior to your arrival, they will put them away! How cool is that? After a long drive or a long flight, you can arrive, ready to hit the beach, knowing that afterwards you can relax with some munchies while you plan the night's activities. Jerry's also has a full-service casual restaurant and a wonderful bakery. For all they do, I'm also giving Jerry's 5 Tikis! You'll find Jerry's Foods of Sanibel at 1700 Periwinkle Way. We wandered in and out of a few more shops, but none of them impressed me. 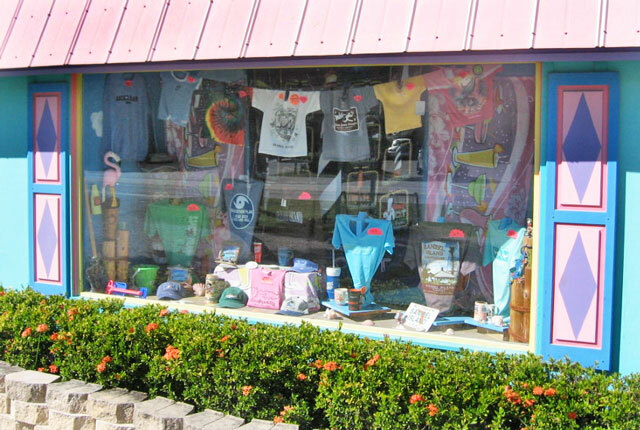 This doesn't mean there's not lots of great shops on Sanibel, it just means we didn't do a lot of shopping — we were ready to get back to shelling and time was a wasting! I know I've hinted at another store that wasn't thrilled with our presence, but I've decided that it doesn't deserve to be in the same post as these others, so I'll tell you about it next week. 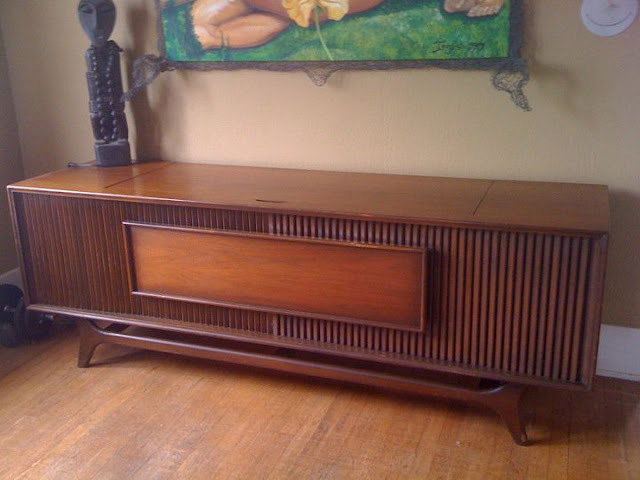 I do have one more place to tell you about though and all you junkers out there will love this one! and decided to stop in. Now, I thought these were so cool, I added two models to my Amazon Tiki Hut Store. If you can't find one in your area and you think it would fit your needs, be sure to check them out. 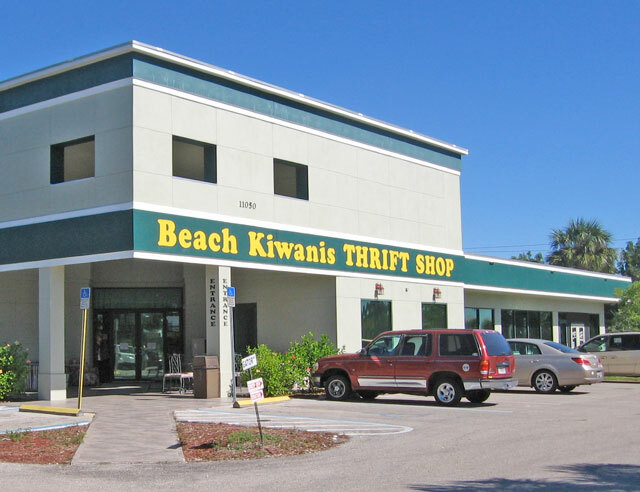 Oh yes, The Kiwanis Club of Fort Myers Beach Thrift Store is also getting 5 Tikis. Great finds, great prices, and great folks working there! 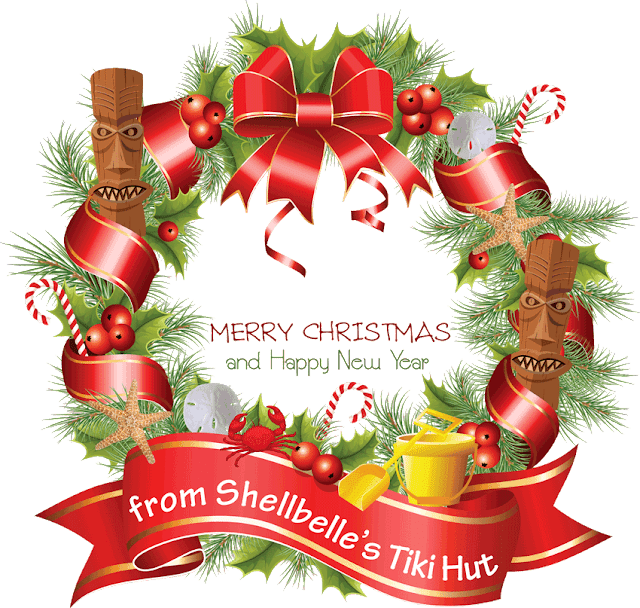 Now don't forget to check back next week to see who isn't getting any tikis, in fact, I had to make a whole new award for this place. I'm calling it the Stinky Fish Award. Until then, I hope you're all having a wonderful holiday season. I'm looking forward to some Christmas fun this weekend that I'll be sharing with you soon. 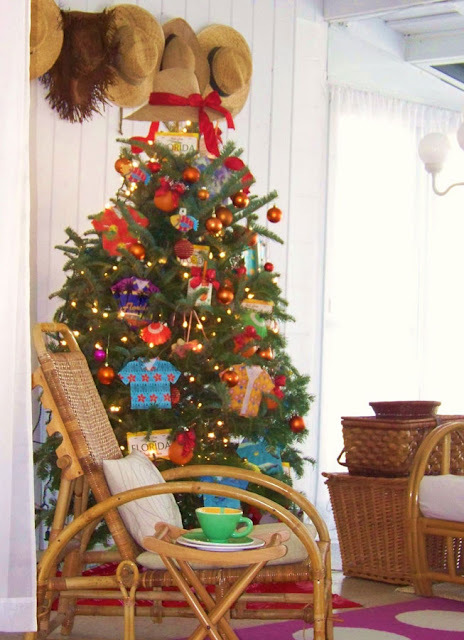 It's almost time to leave Sanibel behind (for now) and get on with celebrating Christmas! I've been bouncing around blogland and I must say, you've all put me in the mood. Your homes look fabulous! For all of you out shoveling the snow, here is another photo of Kaybe and I with the Sanibel Lighthouse in the background. Oh yeah, we're beachy!